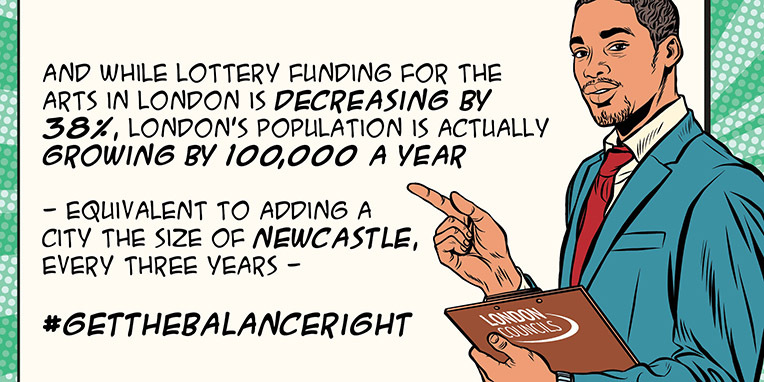 Much of the national debate around arts funding is based around a narrative that London gets more than its fair share. But what are the facts? The picture of national funding for arts and culture varies considerably. 92 per cent of the total funding awards made in 2015/16 went to organisations in just eight London boroughs. 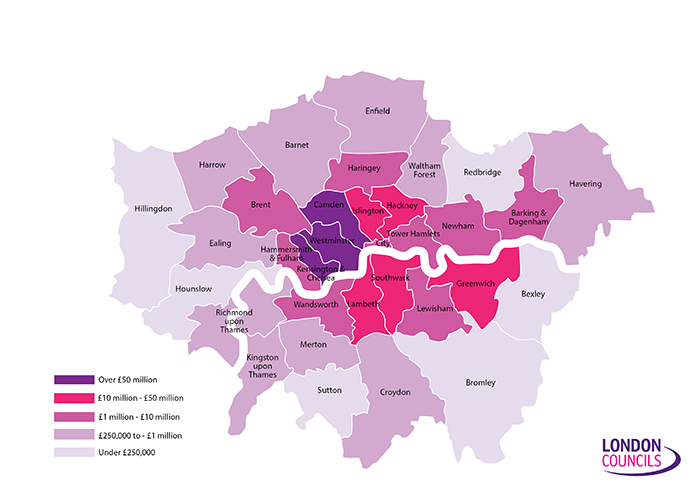 View our interactive map to see how much your borough received. London Councils wants to see an equitable and effective spread of arts and cultural funding, networks and activities across England, but this must be achieved fairly and without damaging London’s cultural infrastructure. Any further rebalancing of funds from the capital risks doing irreparable harm to London’s cultural sector. More equitable access to Arts Council England’s strategic funds is also needed to prevent many areas in London being left out of the place-making agenda. Read more about our work on arts and culture.